Let us know how our services can help you to better know your service users. Tom Martin & Associates/TMA in association with Professor Aisling Reynolds-Feighan of UCD and Peter Canning, aviation consultant, prepared a major report on the All-Ireland Airfreight Sector for a consortium comprising the Irish Exporters Association, the Mid-West Regional Authority, Shannon Development, Dublin Airport Authority and Bombardier. The study aimed to assist efforts to attract more carriers to Ireland and to be a starting point for submissions to US Authorities on pre-clearance of airfreight. 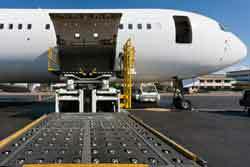 The TMA report also sought to provide the evidence-base for better informed Government policy on the airfreight sector. The TMA report is available from the Irish Exporters Association — follow this link.